Anyone else hear about the possibility of a 64gb Moto X? The X2 might have a 64gb option but I don't think the Moto X will. Why do you believe it will? And please don't say the "hidden source code" because that only points to that it "was" an idea they were ready for and not that there will be. Remember the "hot coffee" found hidden in the GTA code. That was never going to come out on purpose. Is anyone but me considering the possibility that the X+1 doesn't replace the X? The X's form factor is so perfect, I could see a larger phone for those that want one plus a beefier X for those of us who want the same thing again, just with more/better inside. No, because I want a better Moto X. The form factor won't be an issue, sure it'll be a little bigger, probably only taller, but it won't change much. The LG G3 is impressive with its 5.5" screen and only as big as other 5" flagships. Motorola can do something the same. I'm really looking forward to the MX2 / MX+1. (Would be coming from a Nexus 5). I am still hoping for an X2 after the X+1 that holds to our form factor with just better specs. My hope is the X+1 or X2 will be very similar in size, form factor & design philosophy (less is more) as the current Moto X. If Moto wants to release a phone to compete with the S5, One M8, G3 etc, let it be a new model with large screen & bleeding edge specs. I like the current Moto X size & design values. If Moto is smart, they will keep it very much on the same wavelength with some improvements where needed. If what I suggest happens, we both get what we want. Currently, Moto is making 3 awesome non-Droid brand smartphones. There isn't room for them to make 4? A few minutes ago while I was using Moto Maker, I discovered a 64GB option under the storage section, I'm not sure what this means but thought I would post about my discovery here. I took this screenshot incase I was unable to get it to display again but just checked the storage options again and it was still there. 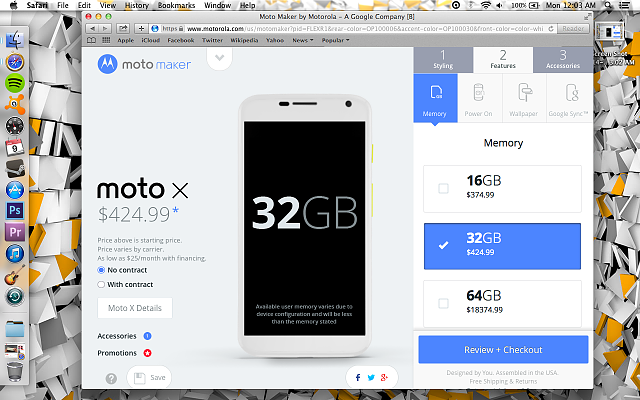 It is on Moto website for $18,374.99! Edit: It has been corrected to $449.00. That's better than the Samsung Series 3 Chromebook I saw on Amazon from a reseller listed at $9,999! If I didn't have unlimited data, this would be something that I would go for for sure. The 32 gig version is doing just fine for me. But I think it's awesome that Motorola is still putting time and effort into improving an existing product after 10 months from introduction. Kudos to them! This also shows that future products will probably have at least 64 gigs and maybe even 128. Looks like everyone but Verizon gets the 64GB option for now. Nexus 5 or Moto X? 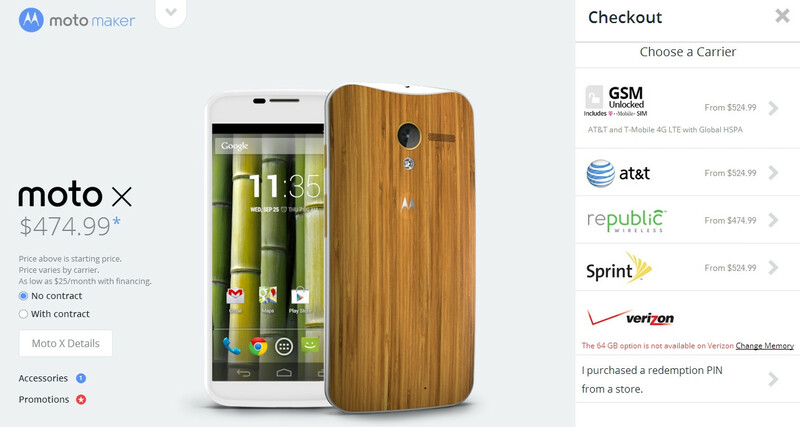 Should I get the Moto X or the Nexus 5?